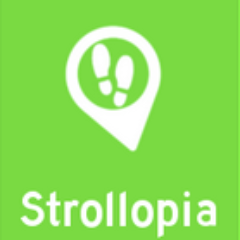 Strollopia provides a platform to create walking tours, or “strolls”, of your community. Make them for friends and family, for your children as a teaching tool, or for yourself after researching your next vacation spot. There are also analytics provided for the maps that you create, so you can see how many people have used your stroll, where they went, how long they stayed, and what was popular on certain dates. Strollopia also offers a platform to develop custom apps. Create an app specifically for your area, branded however you like, including a map of attractions and hidden gems powered by Strollopia. 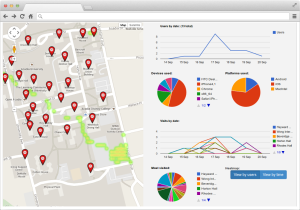 The same type of analytics for user-created strolls are available for these custom apps.